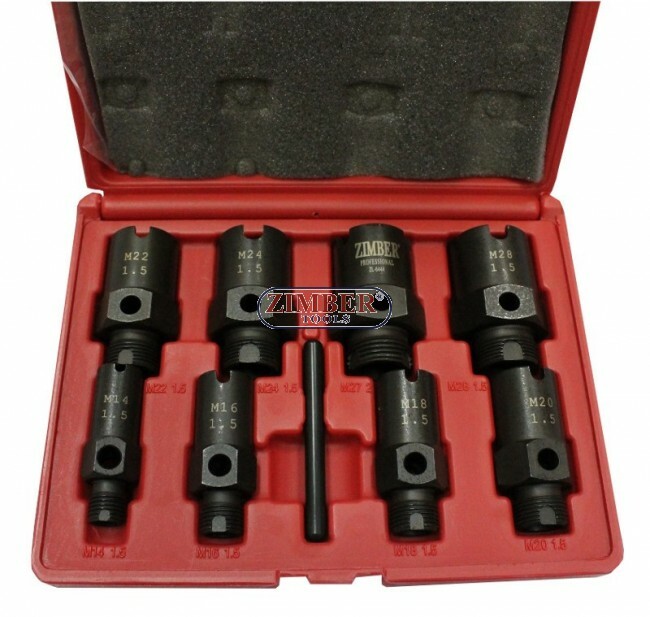 Set pentru imbunatatirea filetului sonda lambda, ZR-36TC09 - ZIMBER-TOOLS. Dimensiune. M14x1,5 - M16x1,5 - M18x1,5 - M20x1,5 - M22x1,5 - M24x1,5 - M27x2,0 - M28 x 1,5. New design for both internal and external front wheel drive spindle thread repair. Use with a deep socket or the tommy bar supplied.